Ahhhh! 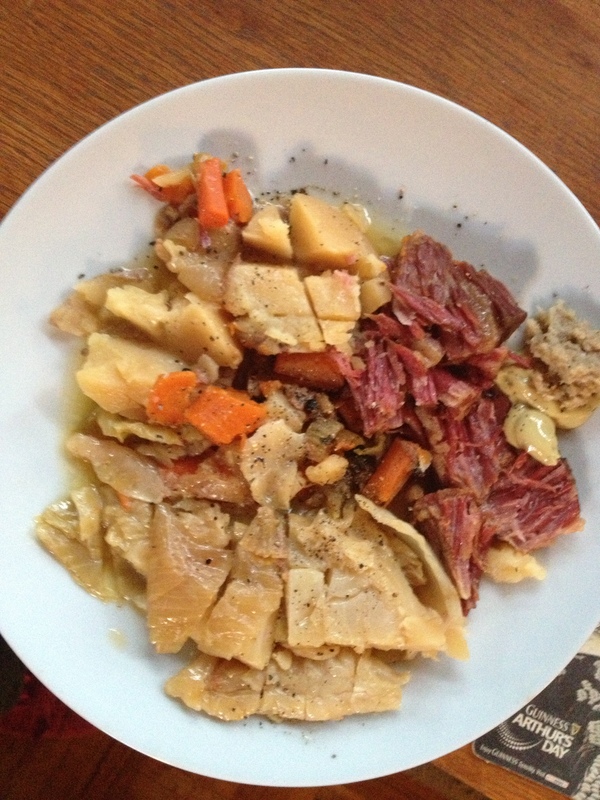 Corned beef and cabbage, what is better than that? Interesting though, my understanding is that it is more of an Irish American dish than one from “the old sod .” Eric and I traveled to Ireland in 2010 and I have to say it was such a lovely country – every bit as beautiful as you would imagine. The best part is that we learned a great deal about the country’s history in addition to seeing the beautiful landscape. As you would imagine, the Irish have suffered a great deal over the centuries – invasions, exploitation by wealthy landlords who took all the fertile areas and taxed heavily for those that used the land, and starvation. What is most heart wrenching is that during the potato famine, because of which many immigrated to America, there was actually enough food to go around. It was being exported for profit, as opposed to feeding the people. I can’t imaging the sheer despiration that would drive you to take a flimsy boat across the Atlantic and leave all you knew and loved. Many lives were lost on those boats – so much so that there was a saying that to get to America all you would need to do is follow the bodies in the ocean. However, out of such sadness we have gained so much from the Irish people in our midst. Literature, music and culture to name just a few. What we love about them – their wit, eloquence, humility, and a touch of melancholy, should always be celebrated. Raise a glass of Guiness today in their honor! Your corned beef looks delicious! Hope you enjoyed St. Patrick’s Day!! My Aunt turned 100 years old on St. Patrick’s day. Can you imagine? She is French, not Irish…but, like the old saying goes, everyone is Irish on St. Patrick’s Day! 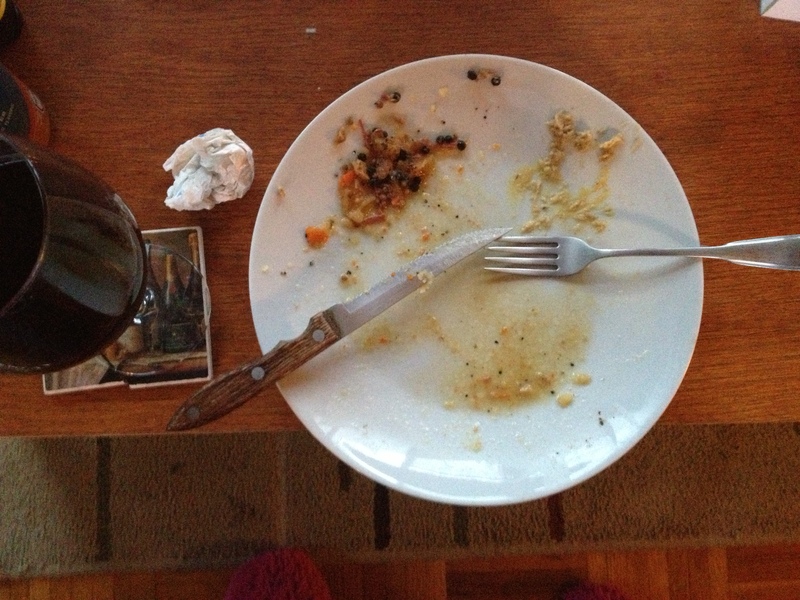 I’m glad you enjoyed your meal. It looks great! Thanks Deb, congrats to your Aunt!! Amazing accomplishment to say that she has reached the ripe old age of 100.